The trampoline itself is great and happy with product. The instructions however on how to put it together are terrible a few hard to see pictures with not much explanation could be greatly improved. 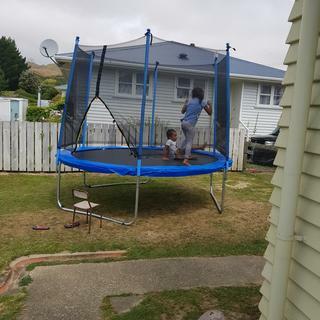 Good quality trampoline for the price. The instructions are straight forward untill you get to the enclosure part, the photos are dark and the written instructions make no sense. Good quality tramp for what you pay for, the instructions that came with the tramp were ok until you get to the enclosure part, photos are dark and descriptions were vague. Over all very happy with this tramp.